As interior painters, we are all too familiar with the smell of freshly painted walls. 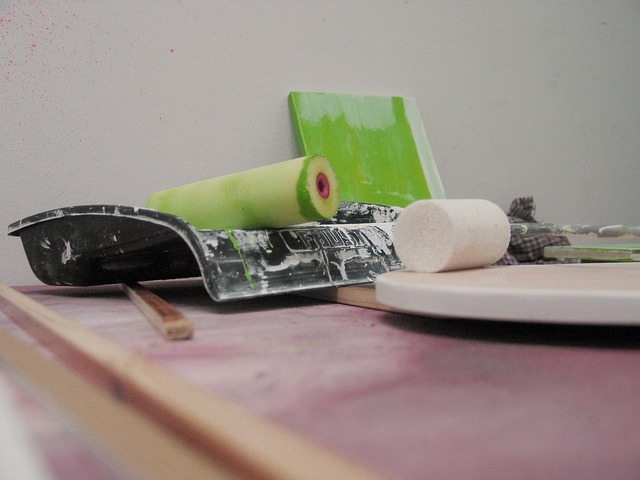 The odour of fresh paint comes from the evaporation of solvents in the paint. Once the solvents are fully evaporated, the paint is dry and the smell will disappear. When we paint interiors we use high quality non-toxic paints, and we take care to ventilate the property as much as possible to remove solvent odours as fast as possible. However, in some instances, especially with enamel paints, you may find that the smell may linger for a day or so. Eliminating paint fumes after professional painting is easier than you might think. In fact, your kitchen is probably already stocked with everything you’ll need. You can use these 7 tips for masking or eliminating any other types of odours too. These first 4 DIY methods will mask the smell of the paint. If you like the smell of peppermint or vanilla, try placing a few drops of pure vanilla extract or peppermint oil on cotton balls, and place these around the room. You could also add the extract or oil to small bowls of water. Peppermint and vanilla both smell strong enough to cover up the paint fumes. Alternatively, if you are a coffee lover, grab some freshly ground coffee beans and place them in small bowls around the room. Charcoal can also be used to deodorise odours. Just crush up some wood charcoal and leave it overnight in containers throughout the room. By morning, your interior painting will smell no longer! This next method sounds weird, but trust us – cut a few brown onions in quarters and place them around the room. 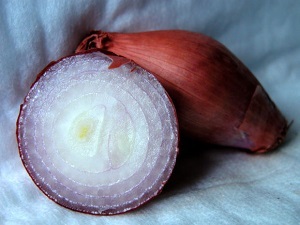 The onions will absorb any lingering paint odours. If masking the paint fumes isn’t quite cutting it, give these three eliminating techniques a go. One of the most effective ways of removing the solvent fumes entirely is to light a candle in the room, and let it burn for a few hours. The flame will help burn the flammable components in the paint solvent. 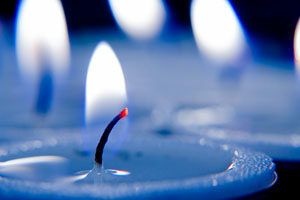 Remember, you shouldn’t leave a candle unattended, and little kids should be careful around the open flame and hot wax. A safer method of removing the smell is to place a few buckets of water around the room. The water will absorb some of the solvent vapours, leaving your newly painted interior smelling fresh. While this is a safer method, it isn’t as effective as burning a candle. Lastly, ventilation is key to removing odours from inside your house. Keep windows and doors open as long and as often as possible. Do this in conjunction with the other DIY methods we’ve listed, and your home will be odour-free in no time! Contact us today if you’d like us to pop over and provide a detailed quote for refreshing your interior. Give us a call on 07 3829 5735, or fill out the form on this page. We do everything we can to minimise disruption to your household and have your home back to normal in no time. We’re a family business and we get a real buzz out of transforming with paint. We can make the old new again. We can change character and mood with colours and textures and we can add capital value to your property. We can enhance and preserve walls, ceilings, floors, doors, decks, windows, ironwork and furniture. It’s rewarding and satisfying work and we love it. Both of us are qualified painters, and we’re lucky to have a fantastic crew of cheerful, experienced and highly skilled painters as our team. Whilst we always have fun when we’re working, quality and service comes first. We operate to our own set of high standards and use inspections and checklists as part of our process to maintain quality control and ensure nothing is overlooked or forgotten. A week ago I moved into an old house that had been freshly painted throughout with enamel paint prior to being put on the market. I assumed, when I first looked at the house in early September, that the smell would have dissipated by now but it’s still very strong after the house has been locked up for a day.